As I streamline my kitchen, I’ve been evaluating which tools and pans that I use and donating those that I don’t need. Each day, I work on an area and choose to keep, trash, or donate extra items. I strongly prefer to donate, both to avoid adding to the landfill and to help others in need. 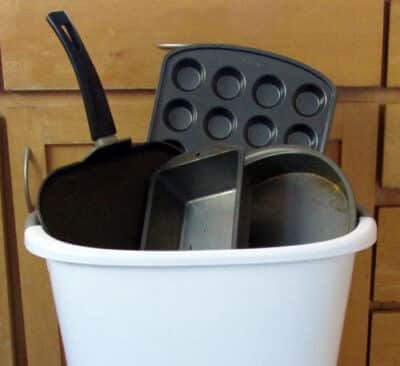 However, my nonstick pans went straight into the garbage–not the donation bag. Why on earth would I do this? Because nonstick pans (like Teflon) are toxic. Plain and simple. Good question…first, let’s look at what makes a nonstick pan. What’s in a nonstick pan? 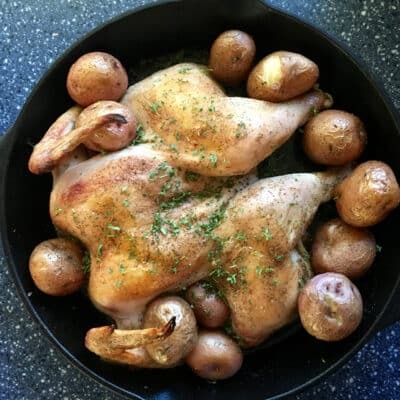 A nonstick pan is a regular cooking pan or skillet that’s been coated with a mixture called Perfluorinated chemicals or Perfluorochemicals (PFC). A brand of PFC you might recognize is Teflon. Because of PFC’s chemical structure, it has a very low coefficient of friction. This means things slide across its surface very easily–a helpful tool for cooks and bakers. PFCs are pollutants, and their production can cause environmental contamination. This has been an ongoing issue since the 1950s because these chemicals don’t degrade. 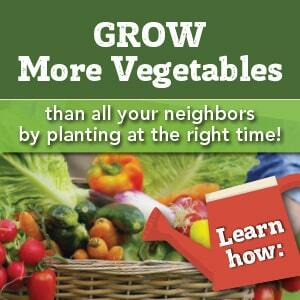 Instead they bioaccumulate, building up in your body over time. Unfortunately, bioaccumulation is just the beginning. When you heat PFC, that’s when all heck breaks loose. 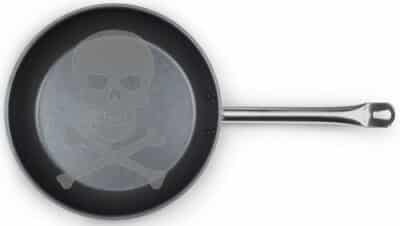 When you cook in nonstick pans, the high temperatures (above 350 degrees F) break down the chemical coating. After 2-5 minutes on the stove, nonstick pans start to emit toxic particles and gases (source). Nonstick cookie sheets and loaf pans are exposed to even higher temperatures in the oven. Yikes! These fumes also cause flu-like symptoms in people, sometimes called Teflon flu. The symptoms of Teflon flu are chills, headache, and fever with possible chest tightness and mild cough. 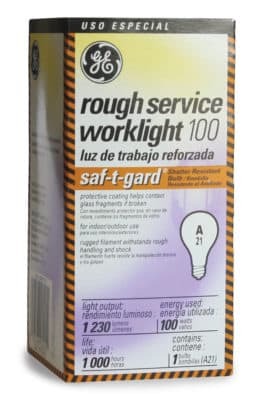 You’ll notice these symptoms anywhere from 4-8 hours after exposure. PFCs are not just in nonstick pans, either. in 2005, the FDA discovered that PFCs in microwave popcorn bags move from the bags into your popcorn (source). They didn’t ban its use in microwave popcorn, pizza boxes, and the like until 2016. 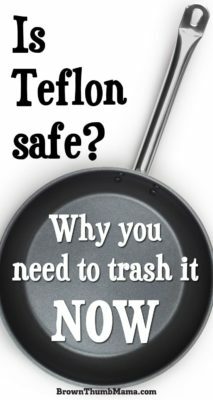 Throw away your non-stick pans, skillets, and bakeware and replace them with safer choices. I like stainless steel saucepans, and I absolutely love my cast iron skillets. Lodge cast iron pans are already seasoned, so you won’t have any trouble with food sticking to them. They conduct heat very well, so they’re great for roasting chicken and making tasty treats like Zucchini Fritters. If you’re not into weightlifting when cooking (cast iron is HEAVY), then these ceramic pans from DaTerra Cucina are perfect for you. Replace your nonstick cookie sheets with conventional sheet pans, and use parchment paper so baked items won’t stick. Parchment paper is sturdy, and can be reused several times before being recycled/composted. If you’re an avid bread baker, like me, there are lots of different pans to choose from. Some bakers prefer stoneware or glass loaf pans. I’m a fan of these oversized loaf pans from USA Pan because they hold a full batch of Hearty Sandwich Bread dough without overflowing. Do you have nonstick pans? Have you considered other options? Thanks for this! I knew about Teflon and birds, but I didn’t know it was toxic to everyone (but it makes sense). I haven’t used metal bakeware since that famous home-party stoneware hit the market; I much prefer it over any type of metal. You’re right about the cast iron skillets, they’re my favorite, also, and so easy to clean up with just a few drops of oil, a sprinkle of salt and a paper towel. As far as stainless steel, there’s nothing like it for deglazing for a sauce! I’m definitely sharing this. It’s a shame more and more things are so unsafe or unhealthy.